Popular Acne Treatments | No 1 is HOT! You want to know something about acne and/or want to do something about it. Here you'll find more info. There's a lot of choice when looking for an acne treatment for your skin. I try to help you by researching the various treatments, so you can choose the one suitable for you. It may give you an idea about differences between a brand or type vs another. Prescription-free and often recommended by dermatologists, for adults with acne, helping them to reduce it. Retinoids are acne-fighting ingredients that regulate skin cell trunover to keep pores from clogging and to control acne infammation. Retinoids help treat whiteheads, blackheads, breakouts. For this very popular and well-rated Differin Gel, see Amazon Here for best pricing, info and reviews. Formula natural cream from Keeva tea tree oil for acne treatment. It is created around the tea tree oil together with main ingredients such as vitamin E, Sophora root extract and Hyaluronic acid. Many users are quite satisfied about this popular product. It may not fade spots rightaway but it reduces the size and redness quickly. For this very popular and great-rated Keeva naturial cream, see Amazon Here for best pricing, info and reviews. 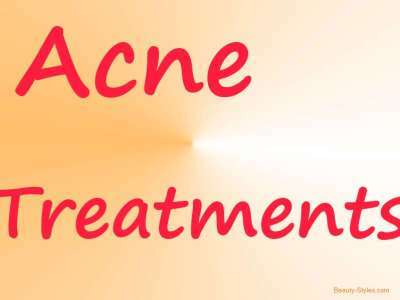 Clean and Clear Advantage Acne Spot Treatment. It reduces the visible signs of acne, and that is important too. It may give you kind of relieve when noticing that the acne is less visible. Well, that is how I experienced being able to kind of camouflage the acne. The active ingredient is salicylic acid 2%. For the popular and great-rated acne spot treatment, see Amazon Here for best pricing, info and reviews. Skincare Treatment Bentonite Clay Mud Mask for Detoxifying and Acne. According to he makers, their clay mask is quite suitable to fight acne. It should be applied daily for the first week and then 2 or 3 times per week. This product comes with a sponge and a brush. For this great-rated Bentonite Clay Mud Mask, see Amazon Here for best pricing, info and reviews. HOT! - Skin Clean Wash Topix Benzoyl Peroxide 10%. Acne treatment skin clean wash Topix Benzoyl Peroxide 10%. The mentioned B.P. is actually the active ingredient. It reduces the presence of P acne bacteria that is assumed to play a primary role in the inflammatory aspect of the acne process. Acne may not all be gone after applying this product, but you may keep it under control. Besides the American Academy of Dermatology, recognizing benzoyl peroxide's roll, many professionals think that it is a potent tool to achieve dramatic clearing of acne lesions and prevent changes within the follicle associated with the acne process, when used with glycolic acid. For this popular and great-rated Topix Benzoyl Peroxide Wash, see Amazon Here for best pricing, info and reviews . As it is a gel it should apply conveniently and is pH balanced. Is also dye- and fragrance free. For this great-rated Benzoyl Peroxide product, see Amazon Here for best pricing, info and reviews. Moisturizer that helps prevent and eliminate acne outbreaks, says the maker. The oil-in-water formula promotes absorbing quickly into the skin. Tea tree oil has been added for its anti-inflammatory, and Benzoyl Peroxide has been added to fight acne. For this Tea Tree Oil and Benzoyl Peroxide product, see Amazon Here for best pricing, info and reviews. Microclear tech equipped cleansing pads - oil-free - to cleanse pore-clogging and makeup, so there's less chance that acne develops. For these great-rated Neutrogena cleansing pads, see Amazon Here for best pricing, info and reviews. This is a socalled inside treatment for acne. According to the makers, you should start with 4 - 6 capsules per day until acne clears. It is advised to take 1 - 2 capsules with each meal and before going to sleep. For these popular and good-rated acne treatment pills, see Amazon Here for best pricing, info and reviews. Professional Anti-Acne Serum and Pore Minimizer from Pure Body Naturals. Very popular professional anti-acne serum and pore minimizer from Pure Body Naturals. This serum for acne contains the ingredients Evermat 3%, Salicylic Acid 2%; these ingredients minimize pore size and reduce skin shine, Manuka oil: that defends your skin against pollutants and impurities and Lemongrass oil: its antiviral and antibacterial properties keep your skin clean and free of blemish-causing toxins. Like all products for acne this popular product may help you or not. Sometimes you have to try a few products in order to know which one is best for your skin. For this fair-rated Professional Anti-Acne Serum and Pore Minimizer, see Amazon Here for best pricing, info and reviews. To cleanse your face and also fight blackheads and whiteheads, Here's to Go. Best Sulfur or Sulphur Face Wash | No 1 is HOT!